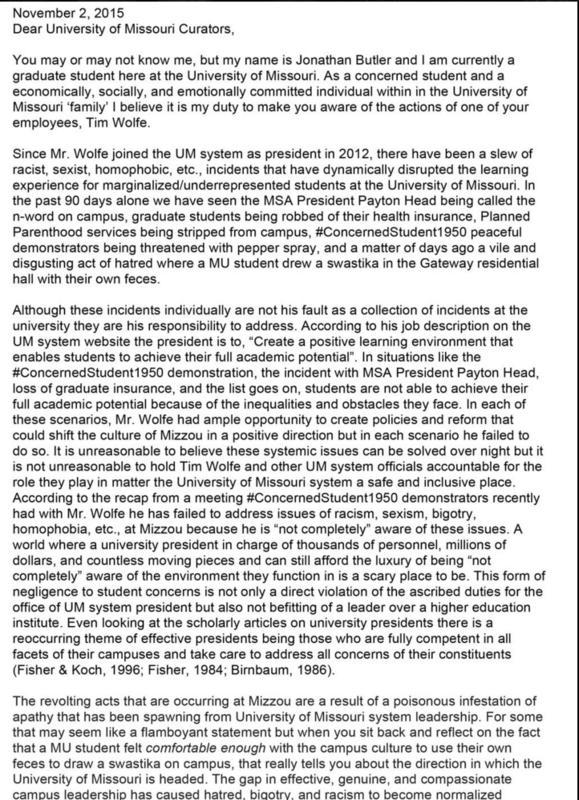 The University of Missouri’s president, Tim Wolfe, resigned Monday morning in the face of a walkout by faculty and a strike by football players that was started by black students at the school who had argued that he had not done enough to combat racism on campus. 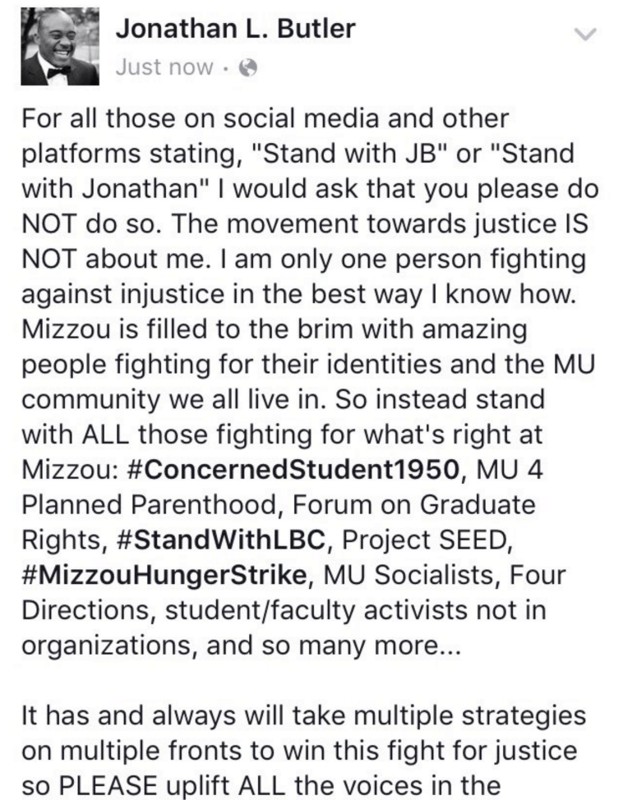 But did you know that one of the protests key leaders, the grad student who brought initial national attention to the protest by going on a week long hunger strike is a member of Phi Beta Sigma? It is true, it turns out that the Jonathan Butler is a member of the black fraternity Phi Beta Sigma. Butler vowed that he would not eat until Wolfe was removed from office. “I will not consume any food or nutritional sustenance at the expense of my health until either Tim Wolfe is removed from office or my internal organs fail and my life is lost,” Butler wrote in a letter to the UM System Board of Curators. “Butler’s act of protest, in concert with other activism coordinated by a group of students who called themselves Concerned Student 1950 — a nod to the year that black students were first admitted to the university — has seized the nation’s attention. 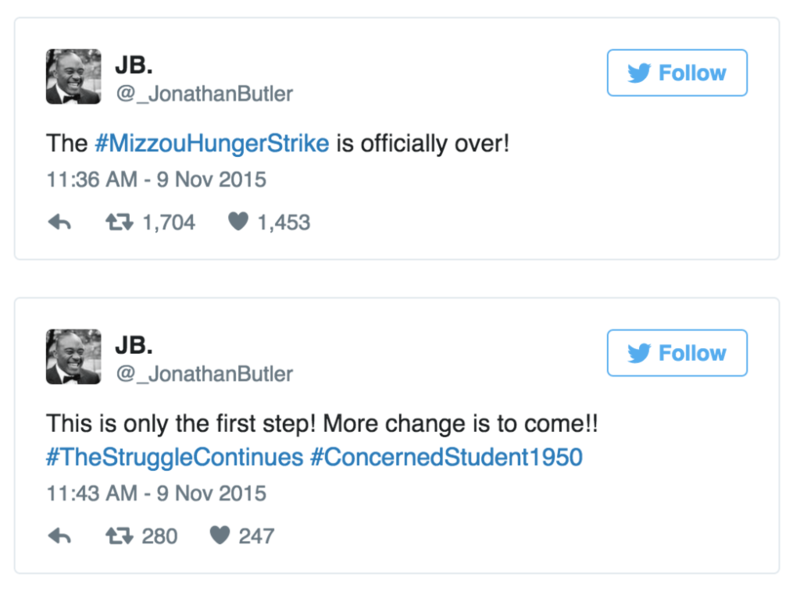 And, on Saturday night, members of Missouri’s football team announced that they would join the protest, and would not practice or play until Butler’s demands were met.” The Washington Post stated yesterday. The Board of Curators called an emergency meeting for Monday morning to discuss the unrest but before that happened Tim Wolfe, the school’s president stepped down. Jonathan quickly took to twitter to share his happiness. Congratulations to Jonathan Butler! His hard work and sacrifice paid off and created positive change. We at WatchTheYard.com would like to show respect to all of the students involved and because we focus mainly on Black fraternities and sororities we wanted to highlight this brother on his activism for the wider greek community to see. Share this post if you believe that Jonathan Butler exemplifies Phi Beta Sigma! Show him some love in the comment section below!